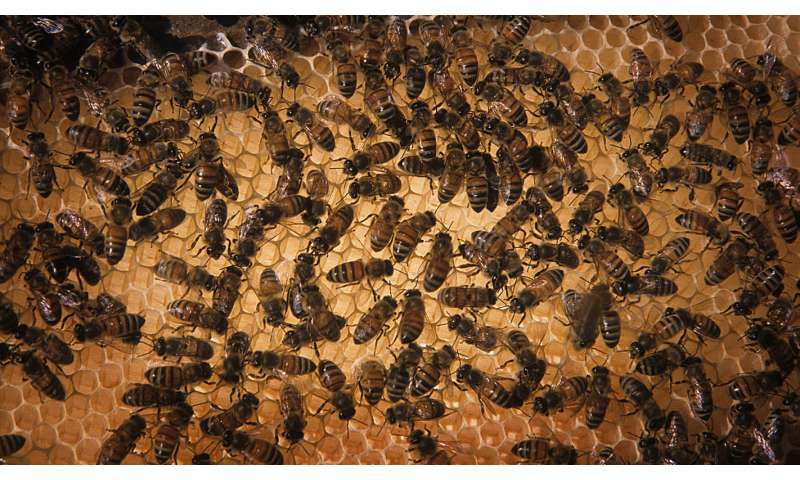 Honey bees (Apis mellifera) are among the country's most important agricultural pollinators. They are frequently trucked around the United States - in short and long distances—to pollinate crops like apples, almonds and berries. But the impact of that travel remains unclear and ripe for study, says Hongmei Li-Byarlay, a National Research Council senior research associate in NC State's Department of Entomology and Plant Pathology and co-first author of a paper describing the research, which aimed to be the first to directly measure stress in these types of colonies. Combining the results of three different experiments, the research shows that traveling bees generally have shorter lives than stationary bees. Traveling bees also have greater oxidative stress levels—which ages them more quickly and may lessen their capacity to fight off disease and parasites. "We found that migratory beekeeping influences the lifespan of bees, but how this impacts health and honey bee aging is more complicated and often more influenced by the environment these colonies are in," said Michael Simone-Finstrom, an NC State postdoctoral researcher during this research and co-first author of the study who currently works at the USDA honey bee research lab in Baton Rouge, La. "One day may seem trivial, but when a normal forager bee lifespan is only around 20 days, one day is significant," Simone-Finstrom said. In the second experiment, researchers compared lifespan and colony health of migratory bees that traveled relatively short distances in North Carolina—35 to 60 miles in a handful of trips—to stationary bees; both types of colonies were controlled by the researchers. "We saw the same lifespan differences as in the first experiment, plus we saw more oxidative stress in traveling bees when compared to stationary bees," Li-Byarlay said. However, this increase in stress levels was only apparent early in the season—May and June—when the stationary bees had plenty of access to food. As the flowers dried up in the North Carolina summer heat, stationary bees had to work harder to find food while the traveling bees were moved into fields of blooming plants and therefore did better. In the third experiment, researchers compared oxidative stress levels of stationary bees with bees that were transported across North Carolina for three hours each day for six consecutive days—a more intensive bee travel regimen than the second experiment. The results shed light on how the bee-rearing environment—where bees were raised as larvae—can impact the oxidative stress levels when bees become adults. In this experiment, foraging bees raised in migratory bee colonies had higher oxidative stress levels than foraging bees raised in stationary hives. Li-Byarlay says she'd like to look at longer-term effects of bee migration and the interaction with nutrition, as this study examined bees over the course of roughly four months in late spring and summer. As honey bee colonies nationwide currently experience higher annual mortality, understanding effects through overwintering and mitigation of these effects would be particularly insightful.